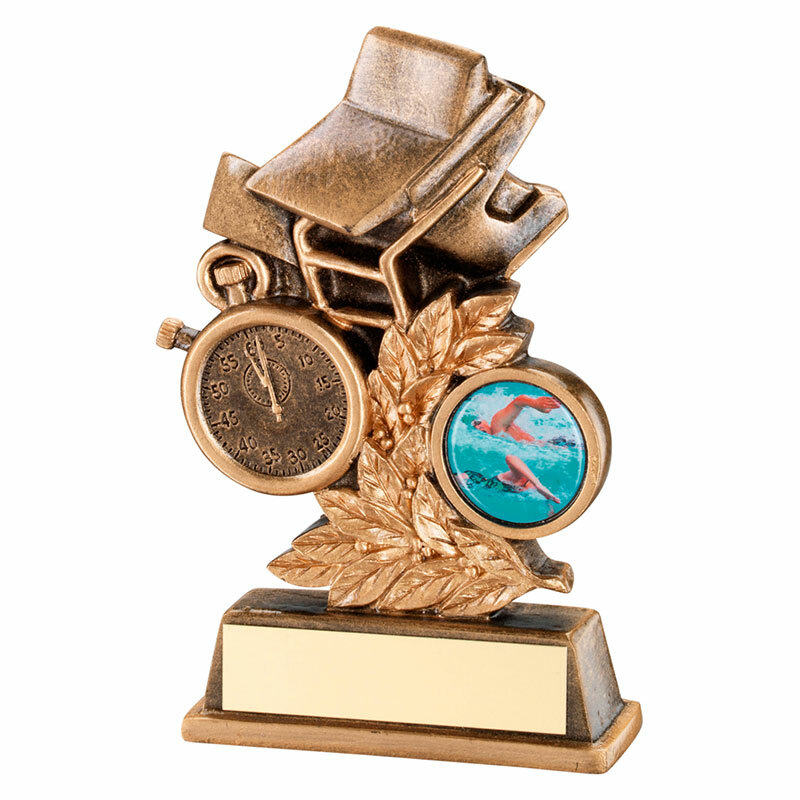 These low-cost swimming awards trophies are suitable for a wide range of events and achievements, including individual swimmer prizes or team trophies, and for both male and female swimming competitions. Crafted in durable resin and featuring a detailed swimming themed motif, they have an antique bronze and gold colour finish and include a metal engraving plaque on the base. They stand 5in (127mm) tall and are offered with low cost engraving.